My birthday was yesterday, and I turned the big 3-2. I don't feel like I'm that old, and I'm in the best shape of my life right now. My 30s have been good to me so far - here's hoping it stays that way! I'm sure you are wondering how I celebrated this big birthday. Let me tell you, I had a great day! 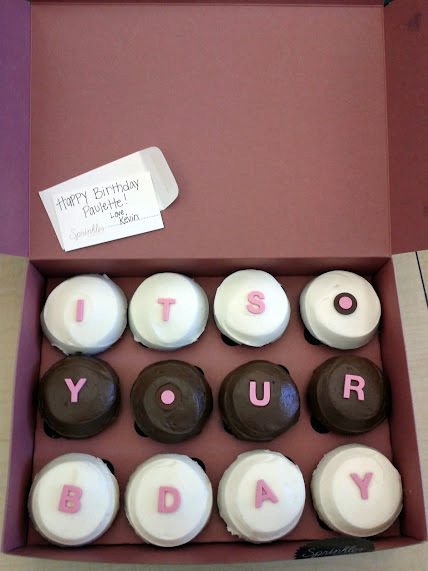 Kevin (aka the best husband ever) sent me a dozen Sprinkles cupcakes at work. They were so cute, not to mention fabulously delicious. The box included chocolate with chocolate frosting, vanilla with vanilla frosting, and red velvet. I absolutely love Sprinkles. Did I mention how tasty these are? Kevin had planned a fancy birthday dinner, but I had a super busy week at work and didn't want to be on a reservation schedule. Instead, we went on a fun 4 mile run after work in the dark (it's getting dark so early now!) and headed to the new public house in downtown San Jose, Original Gravity. They have tons of craft beer on tap, and I highly recommend it if you live in the area. My Birthday brew, Shallow Grave Porter from Heretic. I also had the Lips of Faith Brett Beer. 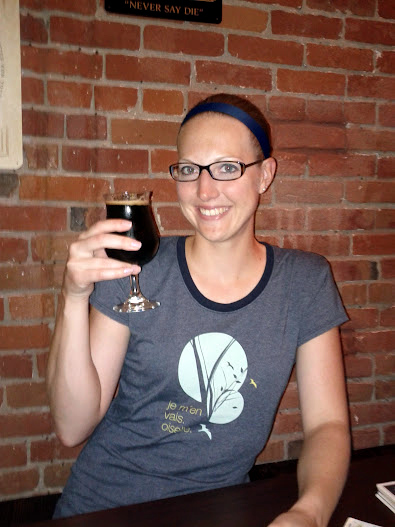 I'm into trying new beers - if you are too, let's be friends on Untappd. I love being inspired by what others find to drink. 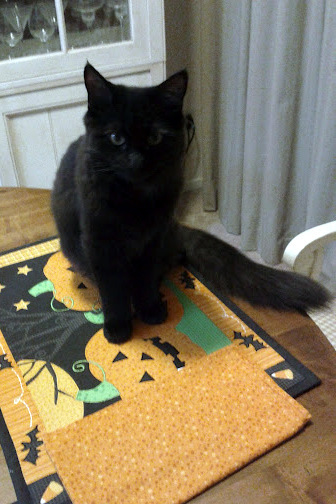 In other news, I decorated for Halloween a bit on Wednesday with cute placemats and napkins. And of course, I added my Halloween kitten. Yes, I know the kitten is sitting on the table and that's bad. But she's so cute. That's all for the birthday post. Enjoy the weekend and do some fun running everyone! Happy Birthday again! Thanks for sharing a cupcake with me...It was delicious! In other news, I started a profile on Untapped. How have I not known about this? Glad you joined Untappd! I tried to friend you but I don't think it worked. And happy to share the cupcake too, yum. Happy Birthday! Have a great weekend! Thanks! I think we'll be planning a CIM meet up, maybe we can meet then too. Happy belated birthday!!! Who needs fancy when you can spend the day doing the things you love with the ones you love?? :) I hope the year is great for you!